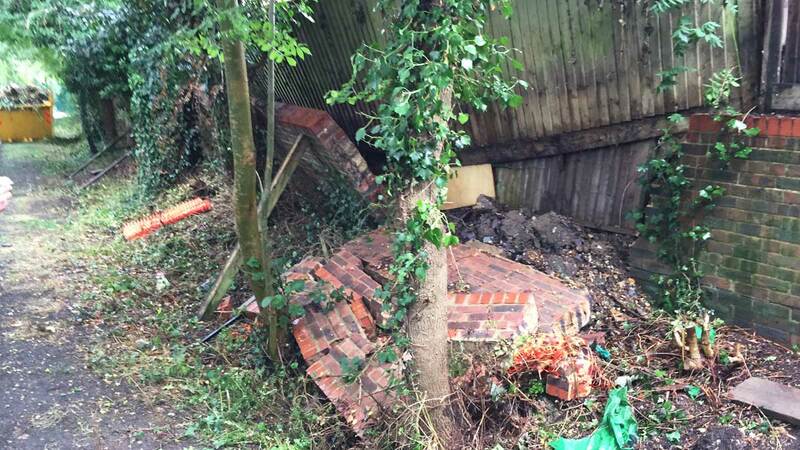 Falcon Structural Repairs were engaged to design and reconstruct thirty six linear metres of failed masonry retaining wall in Reading which had collapsed onto a public footpath. 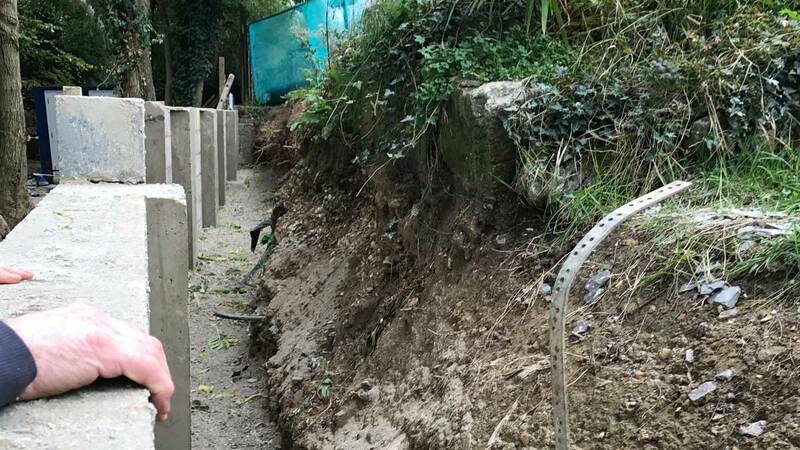 The new groundworks consisted of a combination of both augured and driven mini-piles capped with a reinforced concrete beam. 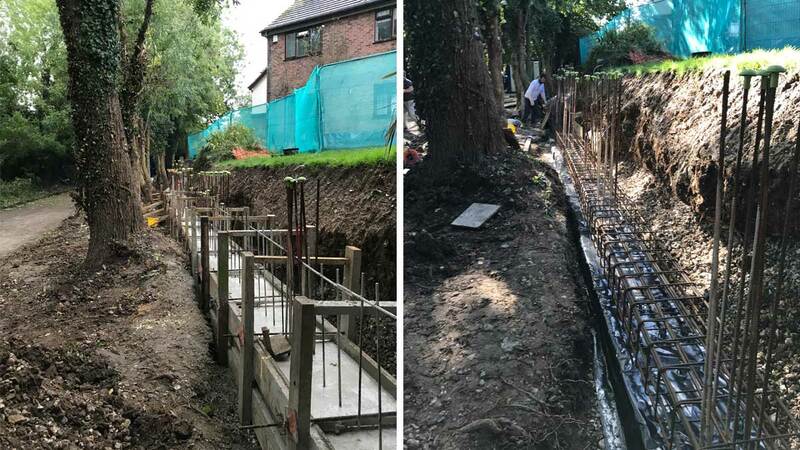 A series of reinforced concrete columns were constructed above ground with the inner skin of the new wall formed using hollow core concrete blocks. 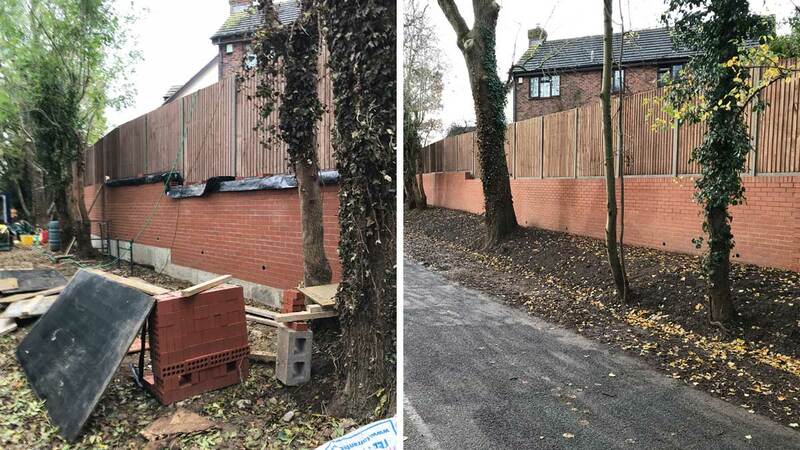 This was then clad with an engineered brick to provide an aesthetically pleasing finish. 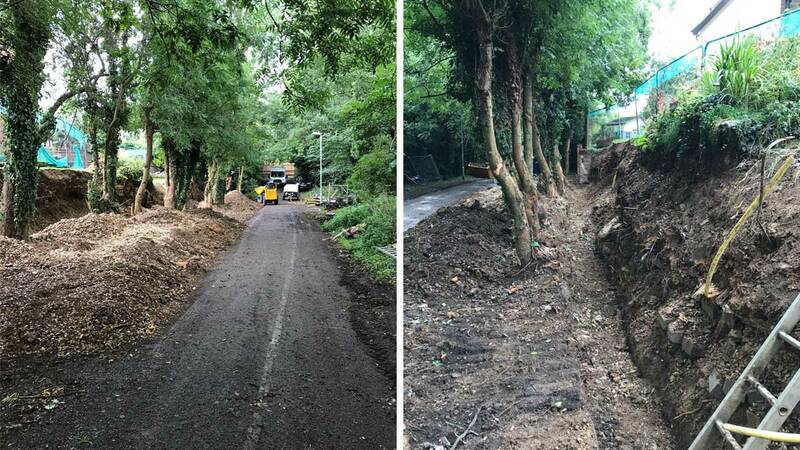 This project involved the full closure of the public footpath for the duration of the works and was completed ahead of schedule, with the site handed back to very satisfied client and Local Authority.